Following the official statement that it'll change production of the next generation Cruze from South Korea to Europe and a written report that it's considering the producing of the next generation Aveo in China and the United States rather than South Korea, General Motors is now purportedly considering the same shift with the Opel Mokka. According to German business daily Handelsblatt, General Motors is mulling transferring a big portion of the creation of the small crossover version from South Korea to Spain. To resolve this issue, General Motors is planning to create the Mokka in Opel's Zaragoza plant in Spain, that's not operating at full capacity. The move would also help lower losses at General Motors's sickly European component. A spokesman for Opel affirmed that GM was searching for added capability to assemble subcompact SUVs, but declined to comment particularly on strategies to transfer Mokka creation to Zaragoza. 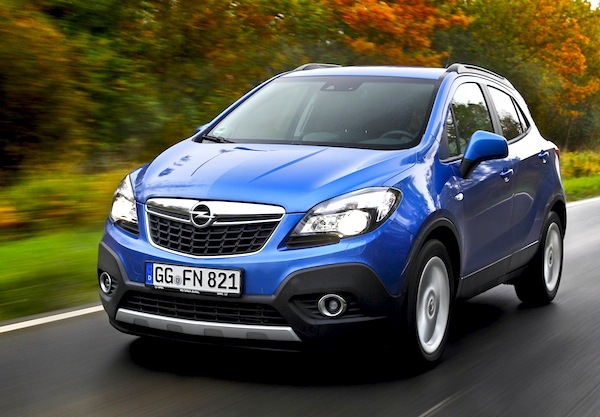 Opel made it clear before this year it plans to construct the next generation Mokka in Europe.